With warmer temps come happier extremities, and that’s no small thing, especially for the kiddos. Whoever invented toe warmers deserves a Nobel prize, but even those small pouches of life-giving goodness have their limits. In the beginning, it’s all about having fun, and it’s hard to have fun if you can’t feel your fingers or toes. With warmer temps come happier extremities, and that’s no small thing, especially for the kiddos. No one’s ever learned how to ski standing in a line. Getting multiple reps in succession is the best way to progress. 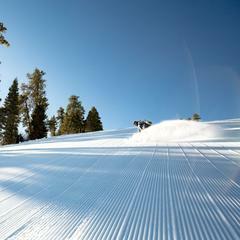 In the middle of winter, when lift lines are at their longest, it can be hard to get into a flow. Fewer crowds also just means fewer hassles. Learning to ski can be daunting enough without navigating lines to get lift tickets, rent gear, etc. 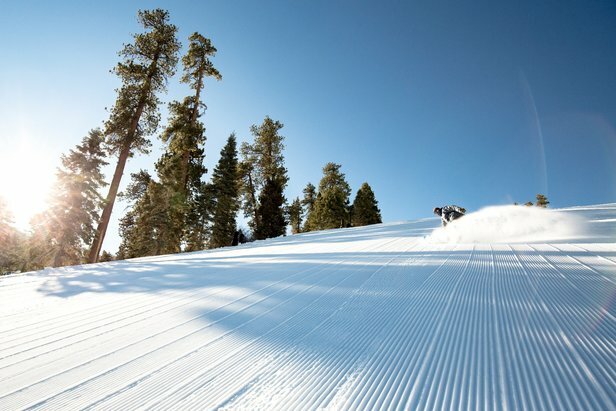 Spring skiing means fewer lift and more groomer (and tan) lines. 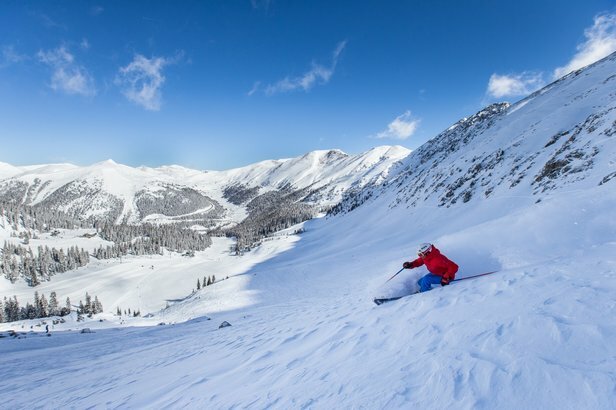 You’ll find deals on everything from tickets and lodging to rentals and lessons in the spring, when reduced demand typically equates to reduced rates. And in some cases, it’s even free. 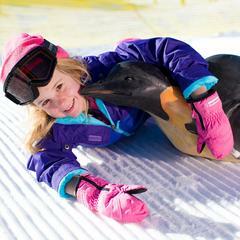 Many mountains offer those who purchase a new season pass for the following winter the ability to use it right away. 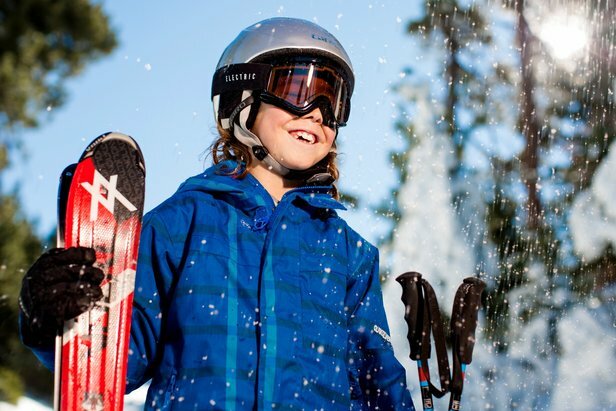 With some ski resorts like Mammoth staying open into the late spring and summer, that equates to as much as three free months of skiing and riding when you commit to purchasing a pass for next winter. You can also find some good deals on gear this time of year, as retailers slash prices on remaining inventory. 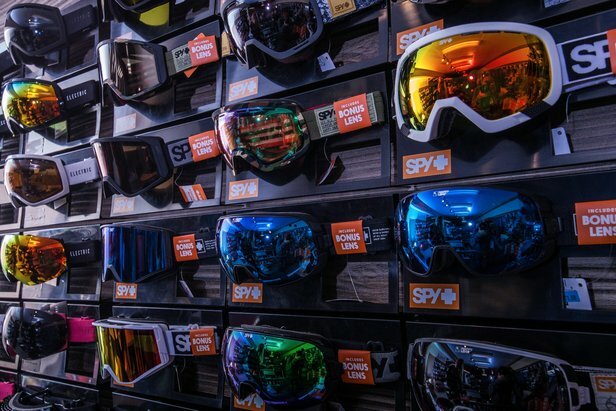 Good deals on gear is just another perk of spring skiing. 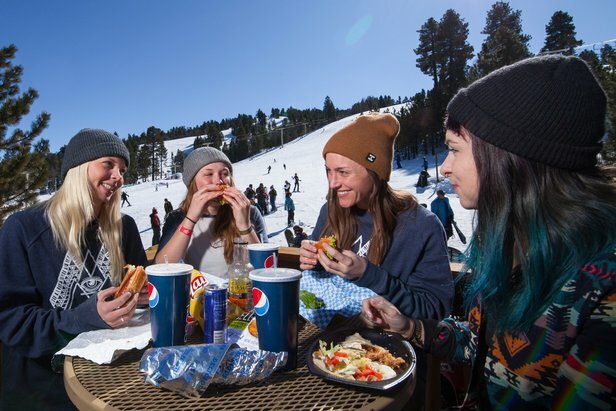 You may have heard the saying that there’s “no friends on a powder day.” We think whoever coined that phrase needs new friends, but regardless, the opposite is true in the spring. 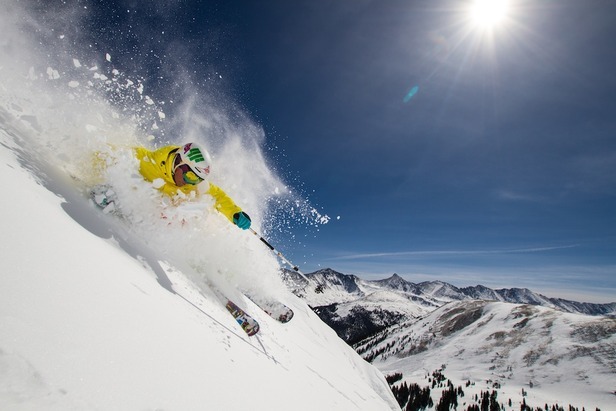 An experience that can feel intimidating in the winter—lift lines packed full of powder hounds frothing at the mouth to get their fix—is much more approachable in the springtime. As the temps climb, it’s all about having fun, being outside in the sunshine with friends and enjoying the last couple months of the season. 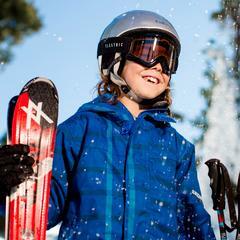 For new skiers and snowboarders, that translates to a much more enjoyable learning experience. It’s easy to remind yourself that this is supposed to be fun and not to take it too seriously when everyone else is doing the same. 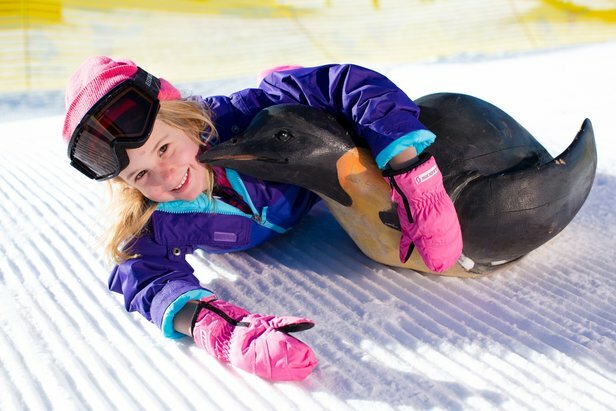 Spring is more laid back on the slopes, which translates to a much more enjoyable learning experience. 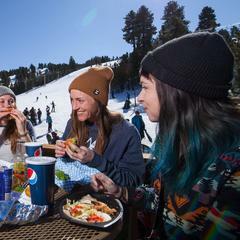 The painful truth is that in the beginning, new skiers and snowboarders are going to fall. It’s not a bad thing. It’s the only way to improve, but it also may mean a few bumps and bruises along the way. In the springtime, the snow tends to soften up a bit, reducing the size of those bumps and bruises, even if slightly. When it comes to one’s tailbone, “slightly” isn't trivial. In the springtime, the snow tends to soften up a bit, reducing the size of those learning bumps and bruises, even if slightly.